Many college students are unfamiliar with the idea of 'loan forgiveness'. But it is a process with which all college students should be acquainted. Loan forgiveness could be the answer to avoiding serious long term debt for your college education. While it doesn't come without a price, loan forgiveness programs have enabled a large number of students to reduce or eliminate their college loans. Let's take some time to examine exactly what loan forgiveness means, how it works and what it can do for you. First, loan forgiveness is precisely what it sounds like. A complete forgiveness, or elimination, of your college loan debts. In some cases, the Federal government will cancel a portion, or the entirety, of an existing student loan. Not all loans can be forgiven however, and there are specific qualifications that must be met in order to benefit from the Federal loan forgiveness programs. There are three primary pathways to Federal loan forgiveness: volunteer work, military service, and work placement in under-served community institutions such as hospitals and schools. There are different volunteer programs in which you can serve in exchange for having a portion or all of your Federal loans forgiven. These are service programs in which you will be serving the greater good of a community in need by donating your time, effort and expertise. These are contract for forgiveness programs, and require a that participating students work within the service group for a predetermined time in exchange for Federal loan reduction or forgiveness. Americorps offers students the opportunity to take advantage of the Public Service Loan Forgiveness Program, which provides forgiveness of Federal Direct loans for those students making 120 qualifying payments against their loan while working a full time public service job as predetermined by Americorps guidelines. The Peace Corps offers a loan forgiveness opportunity for students who have Federal Perkins loans. 15% of a student's Perkins loan can be eliminated for ever 365 days of service in the Peace Corps. These programs offer the opportunity for students to develop their personal character in the service of others, while eliminating much of their outstanding Federal college loans. The College Loan Repayment Program is an enlistment incentive used by all branches of the U.S. Military. Each branch of the military, including the Army, Air Force, Navy and Marine Corps, has it's own program. with it's own requirements and qualifications. Interested students should consult a recruitment office for specific details. In most cases eligible loans must be entered into before the student enlists in military service. Any loan repayment is contingent upon the completion of a set term of service, usually four years, with repayment beginning after the first year of enlistment. All branches of the military offer more lucrative loan forgiveness programs for active duty personnel who serve a full year stationed in a high risk zone or under fire. Students should consider all of the ramifications when considering a Military College Loan Repayment program. Terms of service are not negotiable, and any enlistment is a binding contract to serve in the armed forces. The Federal government offers loan forgiveness programs specifically designed to benefit nurses, education majors and law students. With a continued critical shortage of qualified teachers and nurses in the United States, the importance of encouraging and supporting students in these fields has become paramount. Just as critical is the shortage of legal representation in rural and and inner-city communities. In an effort to help bridge the gap in these areas, the Federal government makes these loan forgiveness programs available to qualifying students. The Stafford Loan Forgiveness Program for Teachers offers loan partial loan cancellations for individuals who teach at least five consecutive years in a school that serves low-income or at-risk communities. The Nursing Education Loan Repayment Program provides partial or total loan repayment for qualifying applicants. To be eligible an individual must work for a predetermined term at a hospital, clinic or other medical facility in an historically under-served community in the United States. All of these 'loan forgiveness', or ' loan repayment', programs require a service commitment of one form or another. Whether it be teaching in an inner city school, volunteering in storm ravaged communities or serving in the military these programs give you the chance to exchange your knowledge and labor for partial or complete loan cancellation. 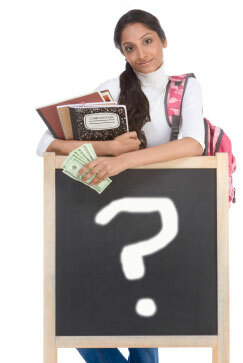 These programs can be a very real boon to students struggling to pay for college, but remember - every loan forgiveness plan has it's own distinct rules and qualifications, so do your research to find the program that is most beneficial to you.